We had a tricky decision tonight as to which concert or concerts in Brighton to attend as there were a few options open to the Brighton & Hove New music team. In the end we decided to camp out in the Hope & Ruin in Queens Road. 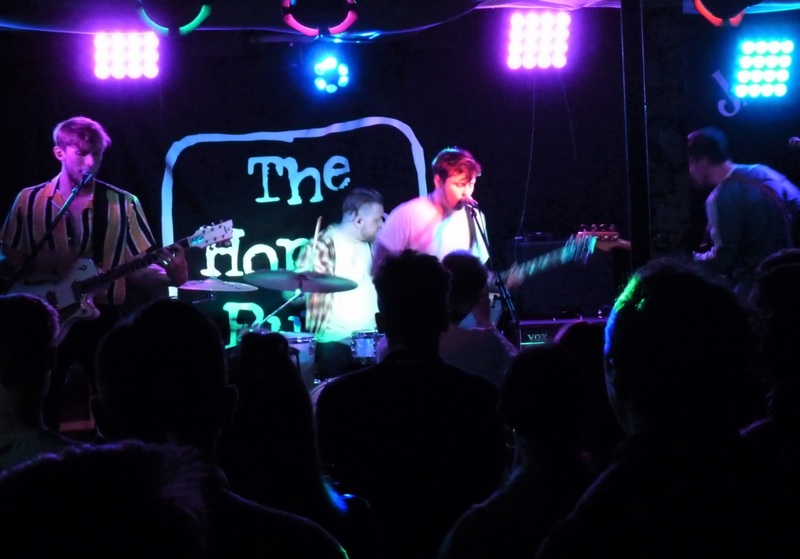 The decision was finally made as there were four bands on this bill and we were unaware of three of them and decided to take a punt as they say on the unknown factor in order to freshen things up – and thank goodness we did! 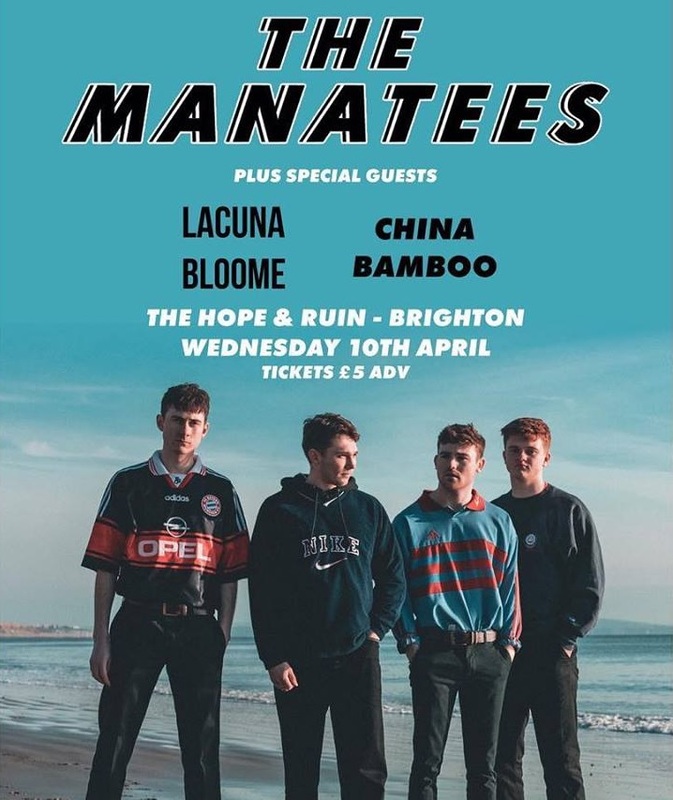 On the bill were The Manatees, Lacuna Bloome, Crystal Tides and China Bamboo. No, none of these are household names……….YET! I mean this is the venue where we witnessed some unknown going by the name of Dua Lipa a few years back and so ‘from small acorns’ as the saying goes! All of the four acts were leaning their craft and fine tuning their sound, but my colleague and I cast our beedy eyes over them and listened to what they were offering in their showcases and we both concluded that the next generation are hot on the tails of the current batch! This is very encouraging. It’s just like watching the younger England football teams, pushing for places in the main squad. They will all be jostling for places! At the top of the bill this evening were The Manatees, who we had not heard of before. They were on a four date April mini tour of the south, calling in at Bournemouth, Tunbridge Wells, London and Brighton. 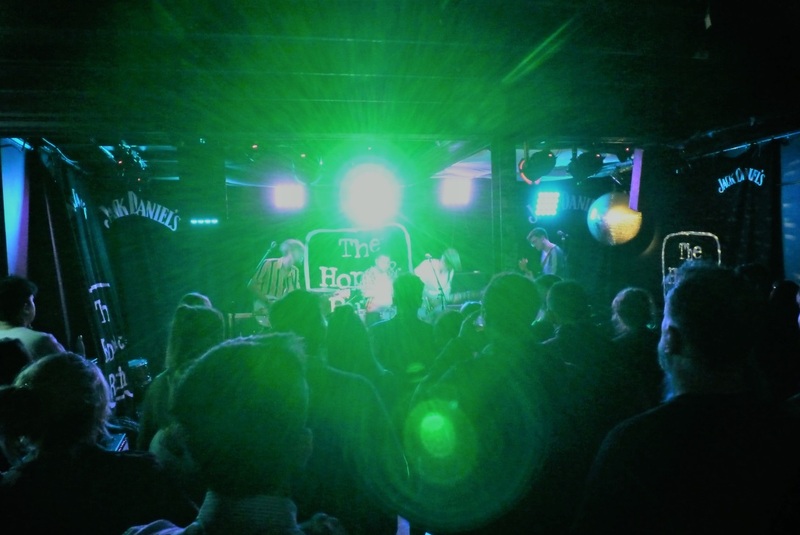 The Manatees are an Indie-pop band originally from Southampton. 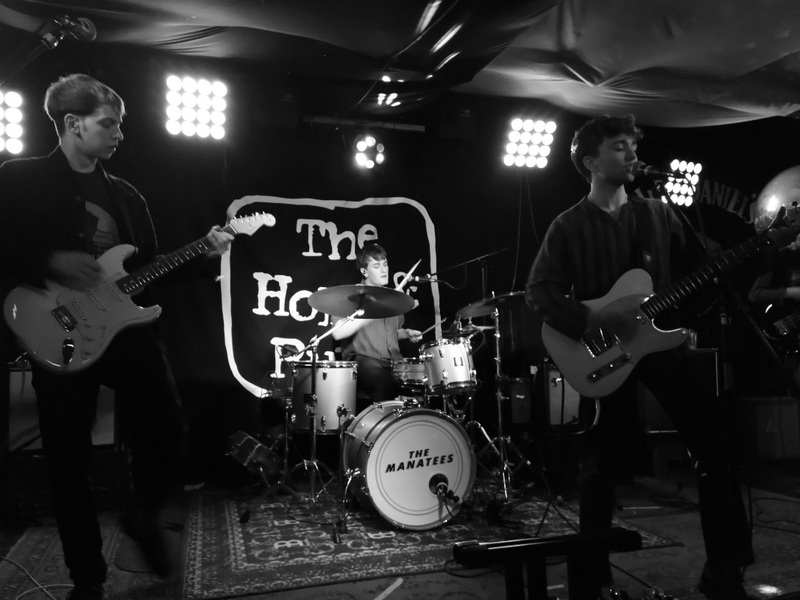 The band are Jay Harris (vocals/rhythm guitar), Tyler Bloor (lead guitar/backing vocals), James Miller (bass guitar/backing vocals) and James Brearley (drums/backing vocals). On his first day at a new secondary school Jay Harris was quickly introduced to future drummer of The Manatees James Brearley. Having heard the new kid could play the guitar and before introducing himself properly Brearley was quick to ask Jay to play lead guitar in his school band. 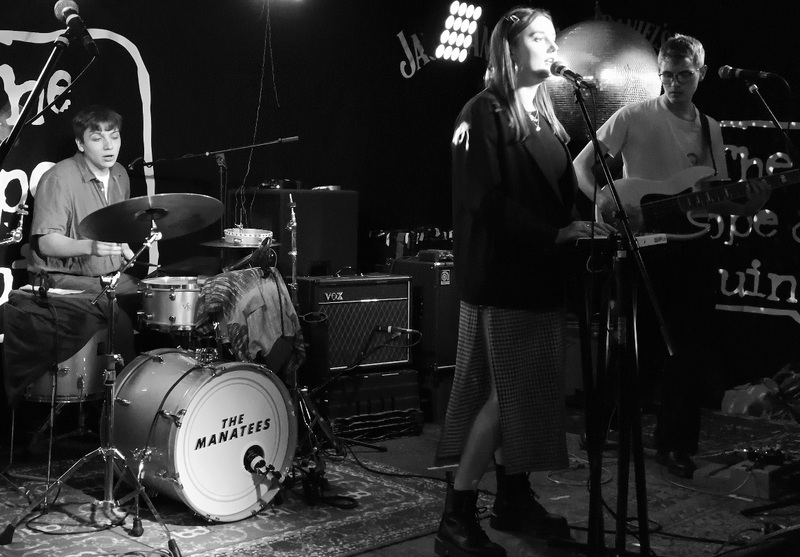 Since then James and Jay have been playing together in a number of groups but after meeting Tyler Bloor and James Miller decided to put their efforts into one project, The Manatees. They have stated that they draw their inspiration from The Vaccines, Jamie T and Circa Waves, but may I possibly add The Kooks to that. They sadly had to omit one track ‘Guilty Pleasures’, from mid-set due to the curfew. 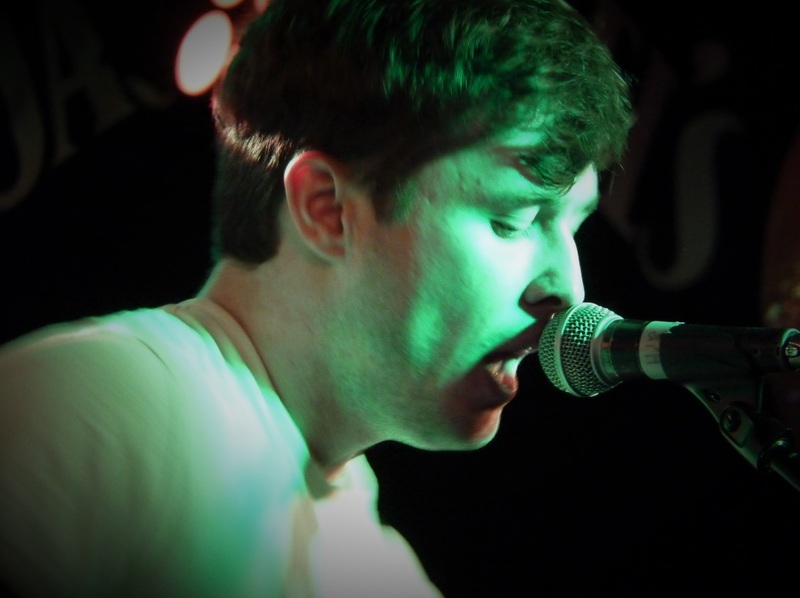 It seems that drummer James is a bit of a dab hand at writing tunes as I believe that he wrote their penultimate track ‘Jessica’, which was my fave composition and could easily be a Top 5 hit single. They ended the night by performing their latest single ‘What If’. ‘Stay Now’, ‘Second Best’, ‘Mundane Monday’s’, ‘Live By The Sea’, ‘Milan’, ‘Little Thing’, ‘Another Lie’, ‘Jessica’, ‘What If’. 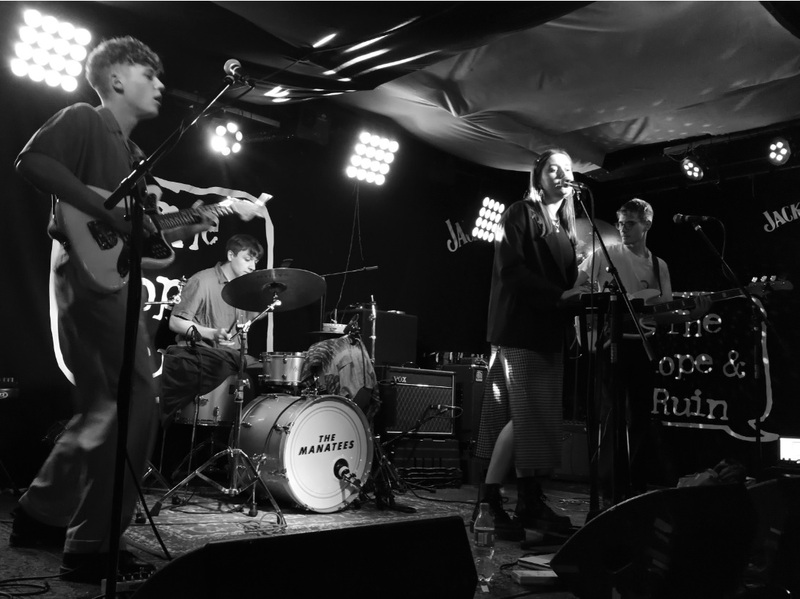 The main support tonight was Brighton’s adopted sons (and daughter), Lacuna Bloome who are the only one of the four acts tonight that we have seen perform live before, so we knew exactly what to expect – A fabulous set! 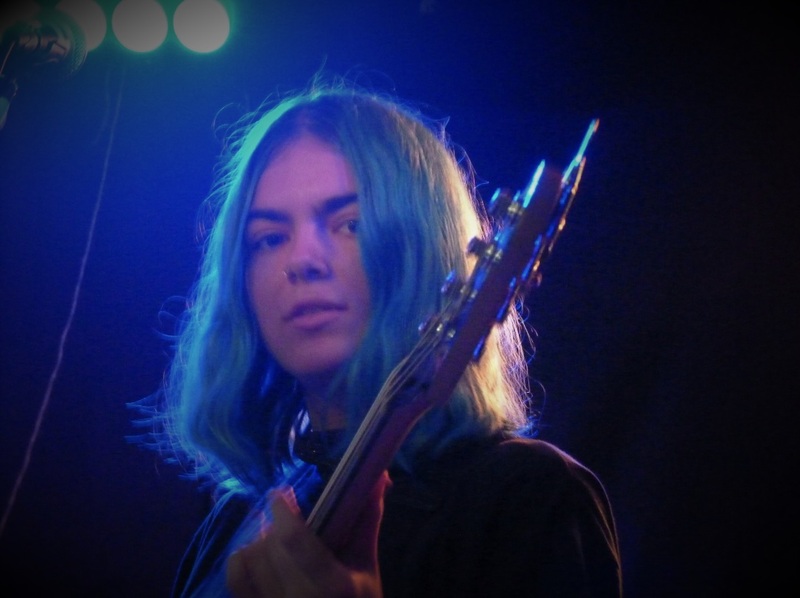 They were founded by vocalist/guitarist Niall and guitarist Sam, and they recruited drummer Noah and striking aquamarine haired bassist Molly (who has such a wonderful smile) in order to cement the perfect music match and look. Their sound is a pleasant blend of all things Oasis, Inspiral Carpets, Stone Roses and The Primitives. They released their debut single ‘Only One’, which was followed by ‘Alright’ and then they unleashed the really catchy ‘I AM’. ‘Find Your Way’ has now seen the light of day and I believe that ‘Pink Sky’ (which incidentally is about dreaming) and will soon be out on Spotify. Tonight there was only time for the band to perform half a dozen beauties, which obviously left me wanting more. Niall was holding it all together whilst often sharing vocal duty with drummer Noah, Sam was really going for it tonight and Molly beamed radiance. ‘I Am’ being just about the pick of the bunch. This is a great little band that certainly has the potential to go far. Enjoy their interesting 2018 tour diary HERE. ‘Alright’, ‘I Am’, ‘Sun On Her Back’, ‘Plastic’, ‘Pink Sky’, ‘Fin’. 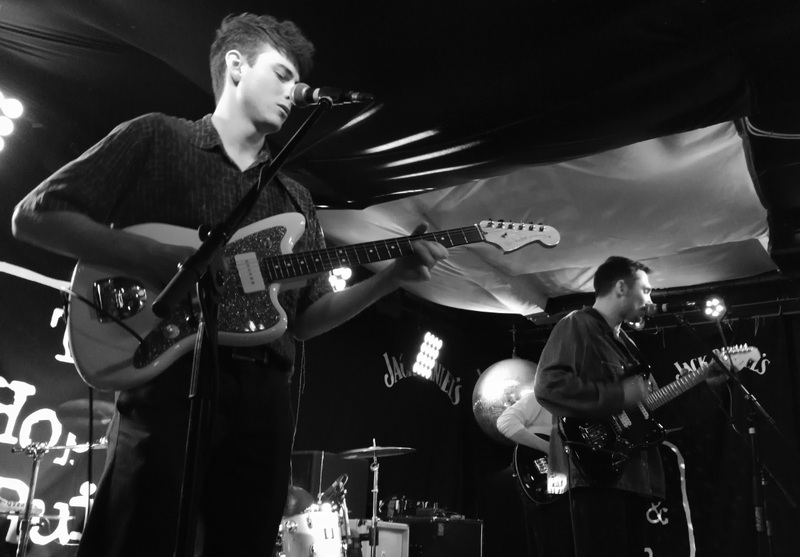 Crystal Tides were second on the bill and they hail from Portsmouth. The personnel are Billy Gregory, Harry Knowles, Sam Brent and George Regan and they have been together in this format for seven months now and tonight was only the drummers second gig with them. 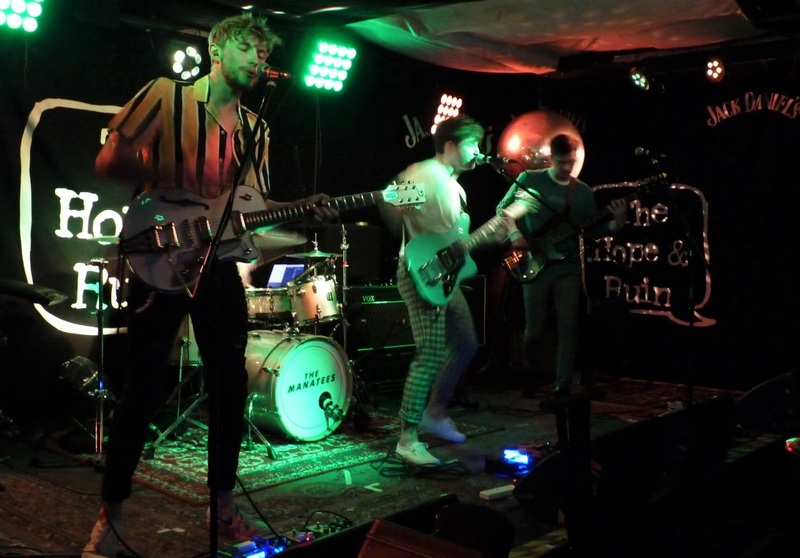 They have latched onto the sound of the music that they were listening to when they were growing up, which includes bands like Two Door Cinema Club, Foals, Stereophonics and The Wombats. 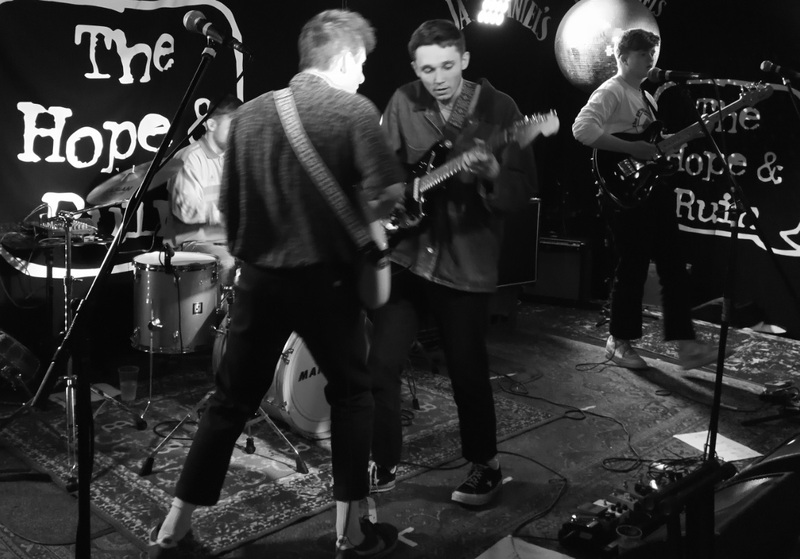 They have taken that all on board and have come up with their own blend of commercial toe tapping indie pop/rock sound, which has definite chart possibilities. The crowd tonight, we virtually all late teens and they seemed to enjoy all of the bands, even if some of them did talk quite a bit. 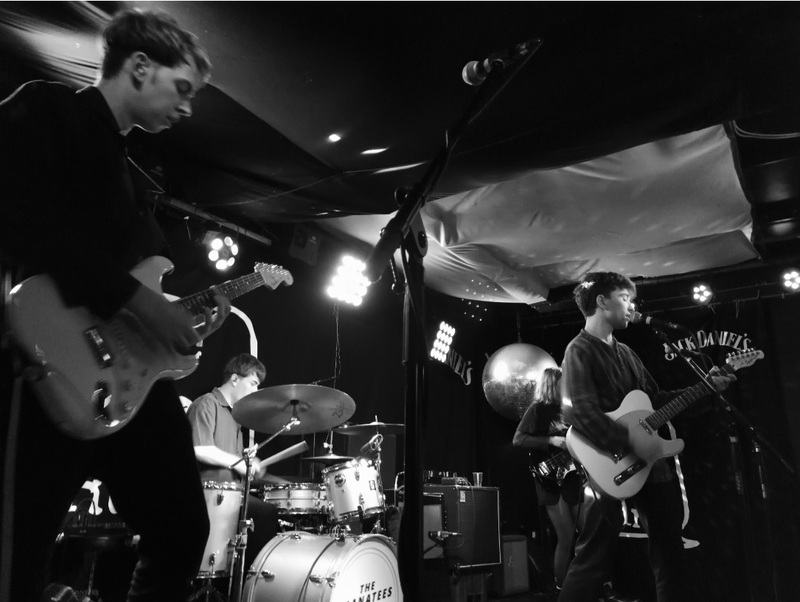 They have just released their brand new single ‘Little Lies’ which came out last Friday, which got an airing tonight and I particularly enjoyed their second track ‘Caught Stealing’ which has a rather enjoyable bouncey beat. The piercing vocals are very strong and the singer made great use of witty sarcasm with it. I would enjoy seeing this posse again. ‘Don’t Tell Me’, ‘Caught Stealing’, ‘Pick Up The Pieces’, ‘Little Lies’, ‘Lifeline’, ‘On And Off’, ‘Thunder’, ‘Backbiting’. 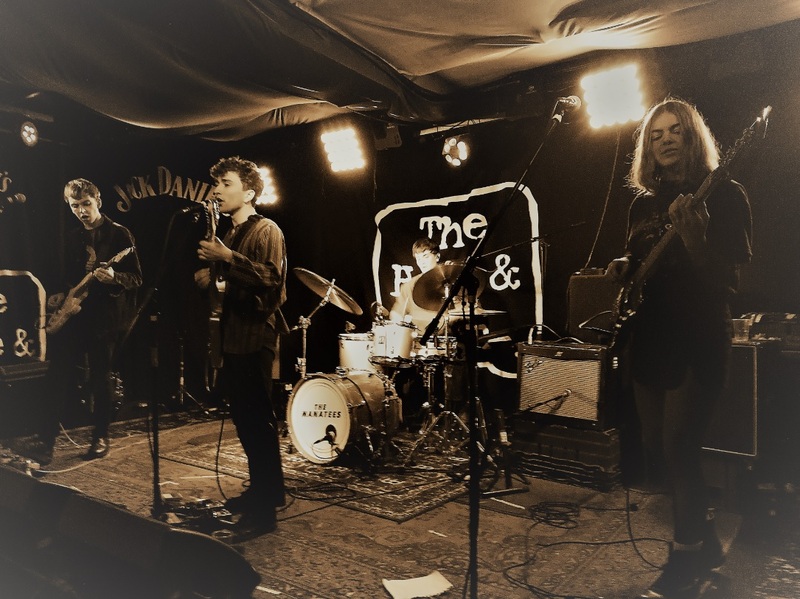 First on the bill tonight were China Bamboo who are Ruby Waltham, Danny Gunn, Fin Taylor and Will Crankshaw. The amazing thing was that although we were stationed at the very front near the stage, we certainly did not pick up on any nerves from them whatsoever. 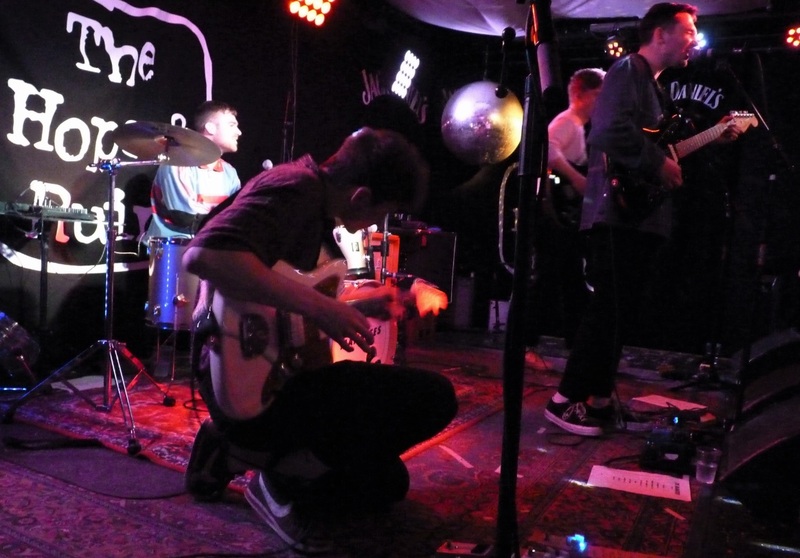 This alternative/indie rock band formed at music college in Bournemouth and are now based in Brighton where they are writing their material. 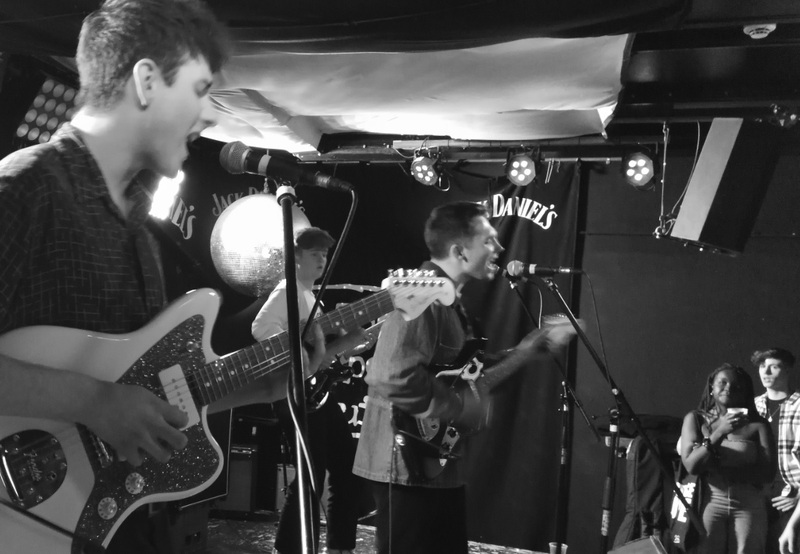 They made their live debut less than a month ago when they performed at the BIMM ‘End Of Term Gig’ on 14th March at Concorde 2. Singer and keyboardist Ruby, informed me that tonight was therefore their first real public gig. It was an honour to watch them. 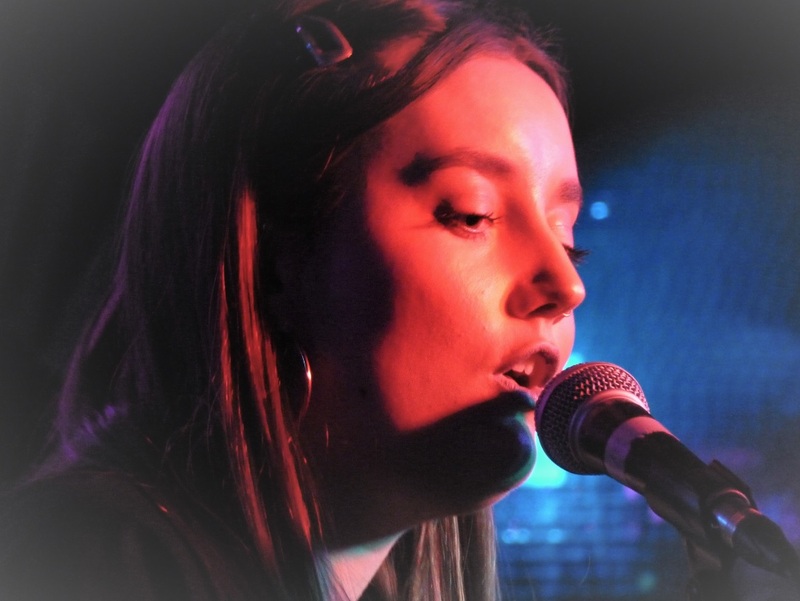 Their speciality is an Indie jangly guitar pop sound overlaid with sweet vocal harmonies. They cite The Cure, Alvvays and Radiohead as their influences, but I would suggest that their sound is a tad different from these, with Ruby at times sounding like Clare Grogan from the Altered Images, who I was fortunate to have seen perform live at the Sussex University on 25th November 1981. During China Bamboo’s short handful of songs, the drummer was feeling every strike and he is clearly enjoying his music. Their final number was ‘We’ve Discontinued’ which was the first number that the guys wrote. They have completed two demos so far with the hope of releasing an EP in the next couple of months. ‘Lucid’, ‘Ambivalence For You’, ‘I’m Your Way Out’, ‘Solitude’, ‘We’ve Discontinued’.